Rochester NH has an enviable workforce – young, educated and ready to get to work. The U.S. Census figures bear out a strong trend in the city’s working population. The city median age (41.5), with more than 44% of residents age 20 to 34. Nearly 89.6% have attained a high school degree or higher. Moreover, the city is just an hour away from Boston’s Technology Corridor and offers a lower cost of living and high quality of life that is increasing important in attracting and retaining talent. One community college, one New Hampshire University campus and a technology focused high school program. Education is a key ingredient in Rochester NH’s recipe for manufacturing success. Working with employers, we have the ability to both retrain existing employees and introduce new individuals to the workforce. 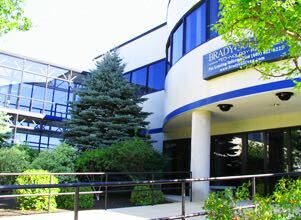 Great Bay Community College’s Advanced Technology & Academic Center (ATAC) program in Rochester, launched in 2013, provides training in advanced composites manufacturing, as well as liberal arts and general education courses. The Richard W. Creteau Regional Technology Center at Spaulding High School draws high school students from three area school districts interested in pursuing careers in business, drafting, electronics, machine trades, automotive repair, woodworking, power mechanics, health occupations, graphic arts, child care, and family consumer science. Granite State College, part of the University System of New Hampshire, maintains a campus in Rochester, and offers associate, bachelor's and master's degrees and post-baccalaureate programs, as well as continuing education and workforce training programs.